How to calculate the summary value based on other column summary value? 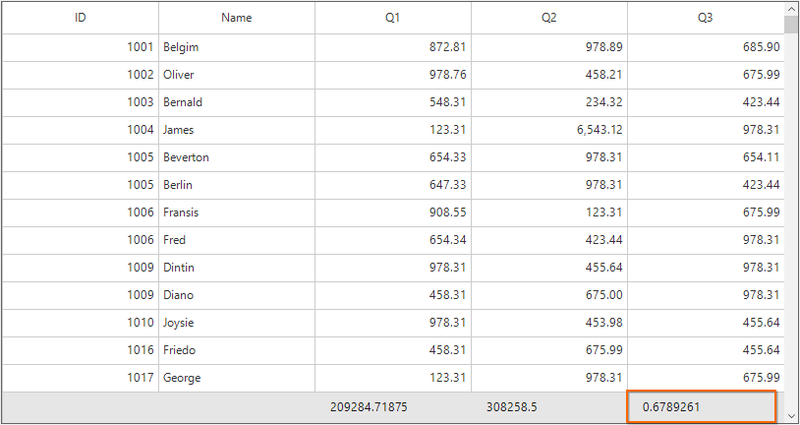 By default, the summary value is calculated based on the corresponding summary column in the SfDataGrid. 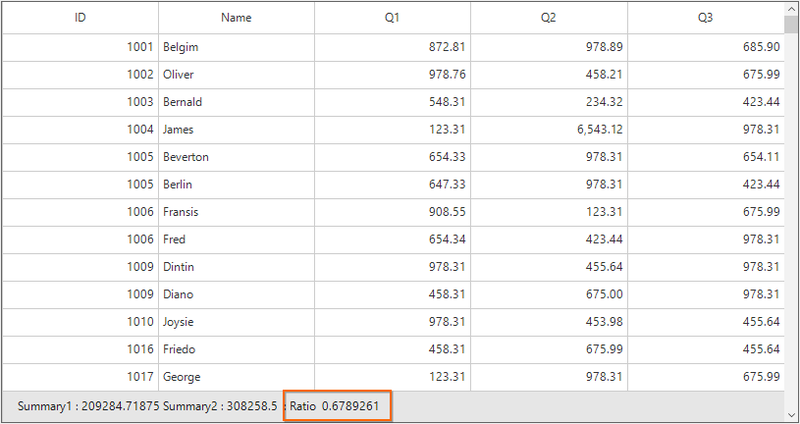 The value of a summary column can be calculated based on other summary column values by changing the display text in the SfDataGrid.DrawCell event with required value. The original summary value of a summary column can be retrieved by using the GetSummaryDisplayText method in SummaryCreator. The following code example shows how to change the summary column value when ShowInSummaryRow is false. The following code example shows how to change the summary column value when ShowInSummaryRow is true.